A strong case for harnessing space solar power is presented in this ground-breaking new book. 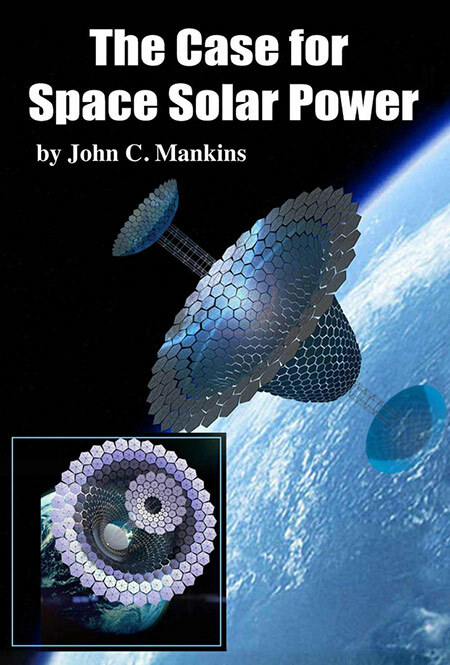 Author John C. Mankins, one of the foremost experts in the field, presents his latest research in The Case for Space Solar Power. The Case for Space Solar Power recounts the history of the space solar power concept and summarizes the many different ways in which it might be accomplished. Specifically, the book describes in detail a highly promising concept — SPS-ALPHA (Solar Power Satellite by means of Arbitrarily Large Phased Array) — and presents a business case comprising applications in space and markets on Earth. It is possible to begin now with technologies that are already at hand , while developing the more advanced technologies that will be needed to deliver power economically to markets on Earth. The Case for Space Solar Power lays out a path forward that is both achievable and affordable. Within a dozen years, the first multi-megawatt solar pilot plant could be in operation. The book is now available both in hardcopy and in an inexpensive Kindle format at Amazon.com. If you don’t have a Kindle, there are free Kindle reader apps at tinyurl.com/kindlereaderapps that enable you to read it on your computer, tablet, or other mobile device.